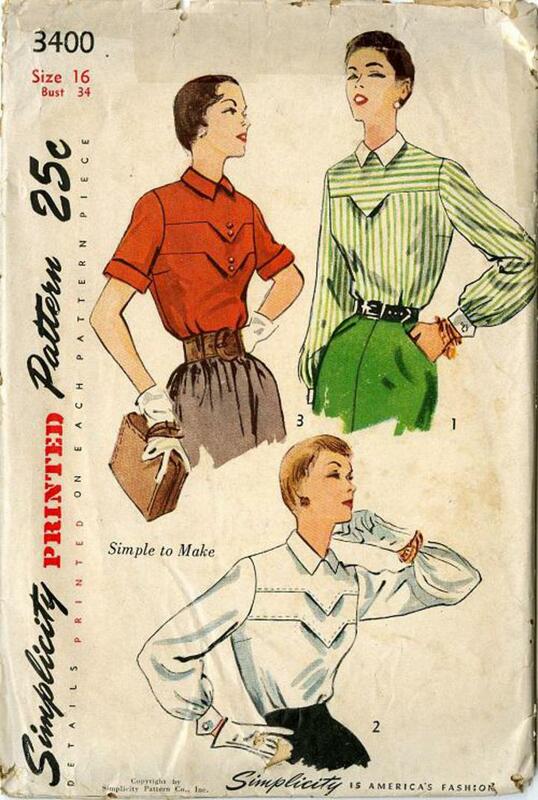 1950 Simplicity #3400 vintage sewing pattern, misses' blouse, size 16. A yoke and pointed tab are featured in all three styles. Styles 2 and 3 have two tabs. Saddle stitching trims style 2. Long or short sleeve choices.